Save on a set of six anodized Neutrinos. 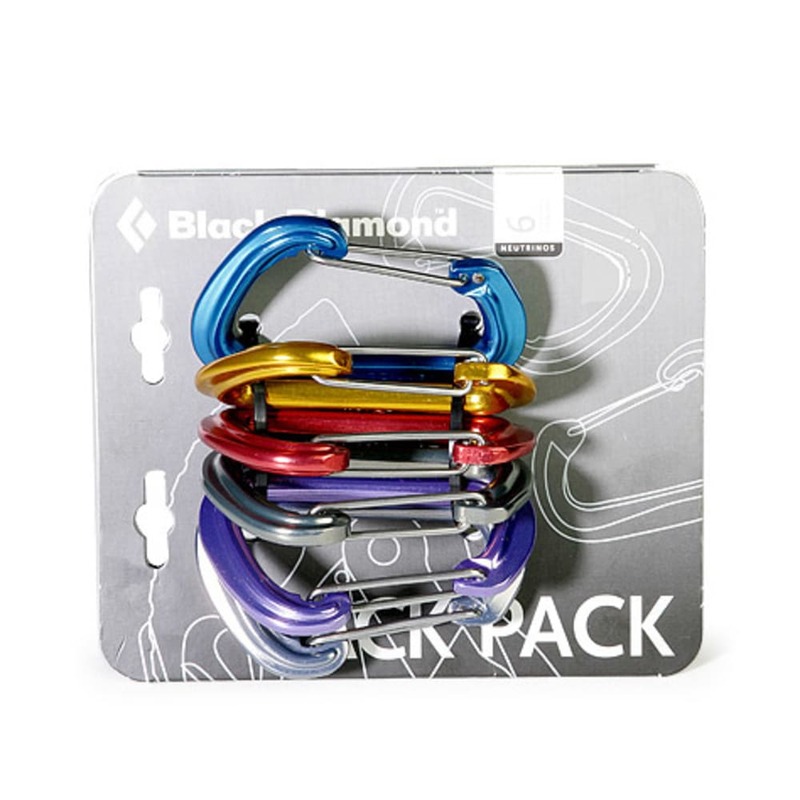 Small without being fumbly or awkward to handle, the Neutrino is Black Diamond's lightest wiregate carabiner. Ideal for fast and light climbing, this gate is ultralight and strong when weight is an issue.